Byron Shores is an all sports lake community including "Byron Lakes Estates". Byron Shores includes numerous homes around various small lakes. The lakes, themselves come equipped for a variety of water sports, including fishing. Byron Shores homes appear in lovely styles and premium locations, often overlooking the lakes. Byron Shores, Byron Center homes for sale appear in one and two story floor plans with plenty of value, quality and affordability built in. Homes for sale provide prospective buyers with an opportunity to live in a relaxed, exclusive lake community with a bounty of residential amenities and tranquility. Real estate around the lakes lines up in ample comfort and charm. Homes typically appear in a variety of lovely ranch and traditional styles on generous lots. Not much comes up missing in Byron Shores with its delightful Byron Lakes and surrounding Byron Center amenities and conveniences. In fact, Byron Center adds up to a whole lot of suburban bliss with premier bedroom communities like Byron Shores. Byron Center lends plenty of community amenities and services in the offering together with its outstanding school system and brings attention to West Michigan real estate consistently. Some homes in Byron Shores can be found with exceptionally spacious floor plans and 4-5 bedrooms in the offering. Prospective buyers of homes for sale in Byron Shores should expect a especially delightful lakefront atmosphere. They should expect more pleasant surprises in quality and pricing as well as one of the most charming communities in South Kent County outside of Grand Rapids MI. The Byron Center School District is one of the "Michigan Blue Ribbon Schools" located near the easy access M-6 expressway and not far from Rivertown Crossings shopping mall. It represents one of the reasons many families may choose to live in Byron Shores. Families naturally want the benefit of a premier community with beautiful lake amenities and a top-rated school district to serve their children's educational needs. Thinking of buying a home in Byron Shores? You've come to the right spot! 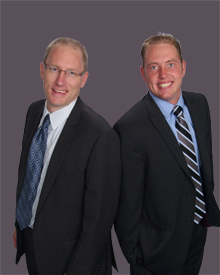 The Van Dyke Team would love to help you find your home in Byron Center. And the Byron Shores neighborhood is certainly worth exploring.